Many times getting your car insurance policy reinstated is the best route to go after your policy has been canceled. However, reinstatement after missing your payment grace period can be a tricky situation. It is important to understand what reinstatement means and the process of getting your car insurance reinstated. Learn the benefits of reinstating your policy and tips to make your chances of being successful better. 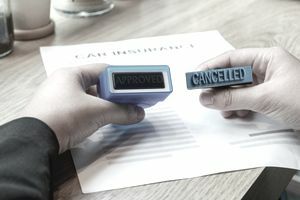 What Is a Car Insurance Reinstatement? Typically a car insurance reinstatement comes after your policy has lapsed due to not making your payment on time. A policy reinstatement comes from the same insurance carrier you were previously insured. Often a reinstatement comes with your same policy number and coverage. Car insurance reinstatement can come in two different forms. One where your policy lapse stays in place and your reinstatement comes with new effective dates. The second way is where you continue with your previous policy as if a lapse never occurred. A reinstatement without a lapse is the better deal. Even though getting an insurance quote is not necessarily difficult, it can be time-consuming and a bit of a hassle. Being able to re-activate your old policy is the simplest way to get coverage back on your vehicle. It definitely the best benefit of reinstating. Staying with an insurance carrier you are familiar with is also important. Stick with your same agency if they are providing you with good customer service. Since many states surcharge your car insurance if your policy has a lapse, going with a reinstated policy could be the cheapest way for you to go. It is very likely your insurance carrier will not want to offer you a payment plan anymore, meaning you will have to pay in full for six months or the remainder of your policy period. Sometimes you can get away with paying for two months of coverage but it is up to your insurance carrier. Standard late fees will be included to get your policy started again. A surcharge is also a possibility depending on how long you were without coverage. How Can You Be Expected to Pay More? Well, that is the exact problem so many people face when they get behind on their bills. Bouncing checks, paying late, and letting your car insurance cancel all cost you more overall, unfortunately, most of the time a lot more. Personal budgets are not easy to live by and many unexpected events can pop up to set even the best planner behind. Take a close look at your expenses and try to find areas you can make cuts. Ask your insurance agent about what you can do to reduce the cost of insurance. Cutting car insurance all together really is not an option for most licensed drivers. How Many Times Can You Get Reinstated? Getting your policy reinstated one time is not even a guarantee. So multiple reinstatements are even tougher. Certainly, do not expect more than two reinstatements within a 3-year period. The relationship you have with your insurance agency combined with the relationship the agency has with the insurance carrier can make a difference in your chances. Insurance agencies and carriers are more likely to want to keep your business if you have multiple policies bundled together. Combining policies gives you more negotiation power. Getting behind on your payment can happen to anyone, but do not get stuck in the trap of paying on the last day of your grace period every month. It is not a good signal to the underwriter when you request reinstatement. If you are looking at a potential denial of your reinstatement request, offer to pay in full. Many times making payment in full will lock in your reinstatement chances. What is a Loss Payee on an Insurance Policy?